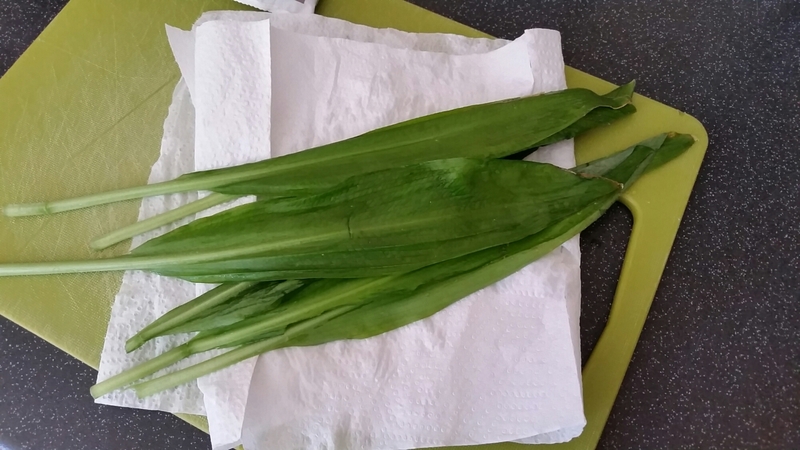 It’s that wild garlic time of year again. If you haven’t seen it, chances are you will have smelled its heady aroma if you’ve been anywhere remotely rural. Today at the park, we happened upon a nice patch of it, its delicate white flowers in full bloom. DD couldn’t resist having a nibble on a few leaves, but I had plans for the remaining few we had picked. 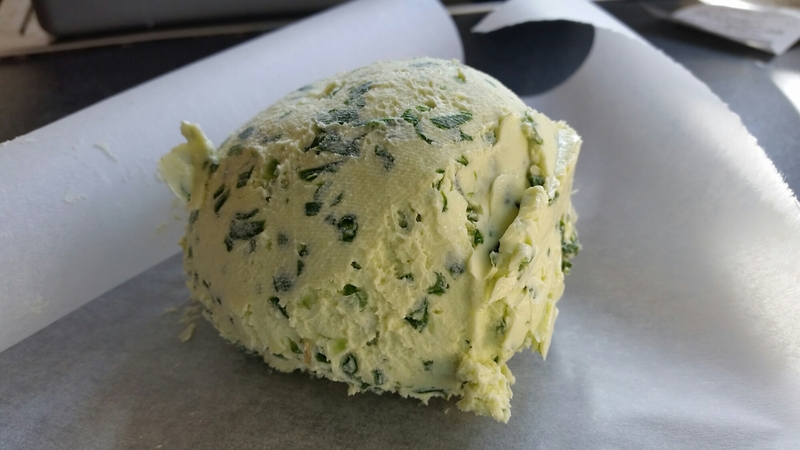 You may remember last year I did a post called Four Ways with Wild Garlic, well this is my favourite wild garlic recipe. 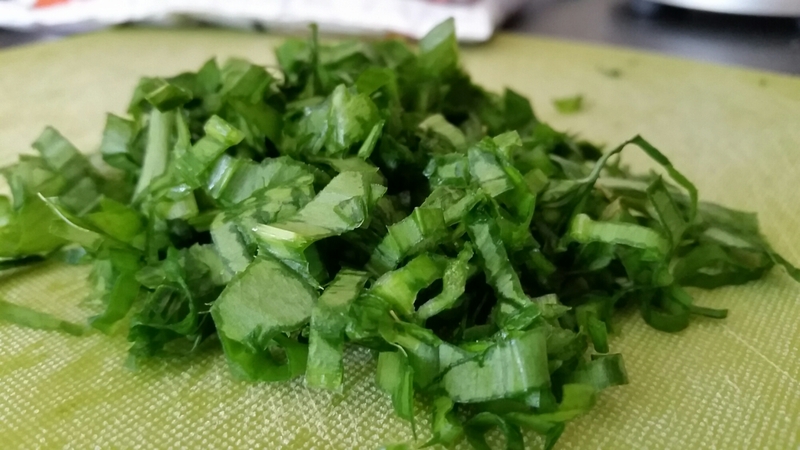 It also happens to be the quickest and simplest, yet undoubtedly the most versatile. 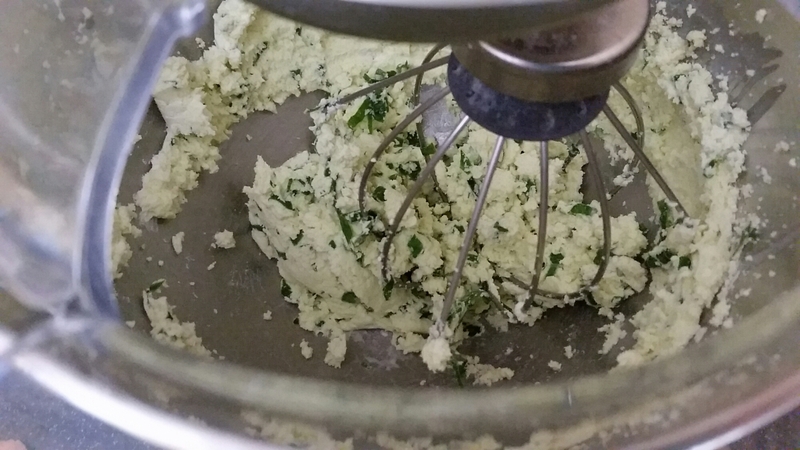 Very finely chopped 5 or 6 fresh wild garlic leaves and throw in a bowl with 150ml (or so, this definitely doesn’t have to be exact) of double cream and a large pinch of salt (we tend to use Pink Himalayan salt because of the mineral content). 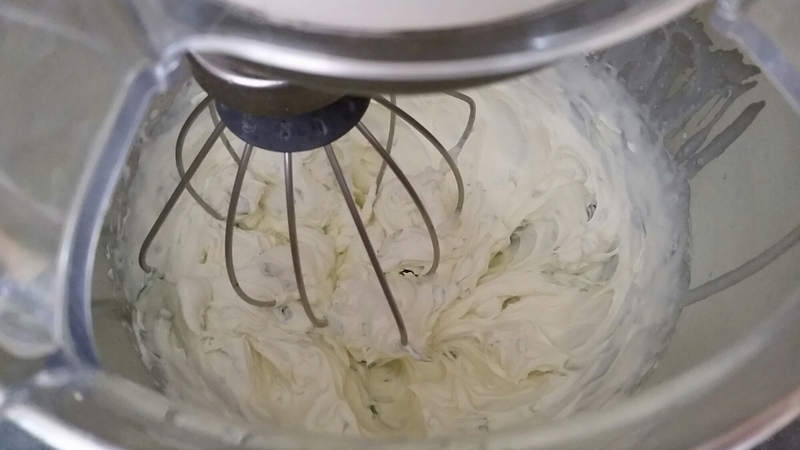 Whisk and whisk and whisk until the buttermilk separates from the butter. This will splatter so it’s a good idea to cover the Kitchen Aid, or whatever you’re using to whisk, with the guard and a clean tea towel for extra protection. 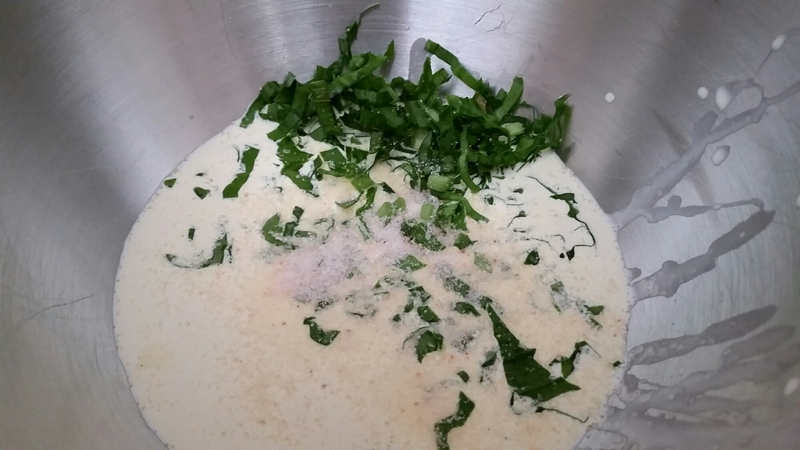 Once the butter and buttermilk have separated, pour the mixture into a bowl lined with a tea towel or muslin and squeeze out as much liquid as possible. 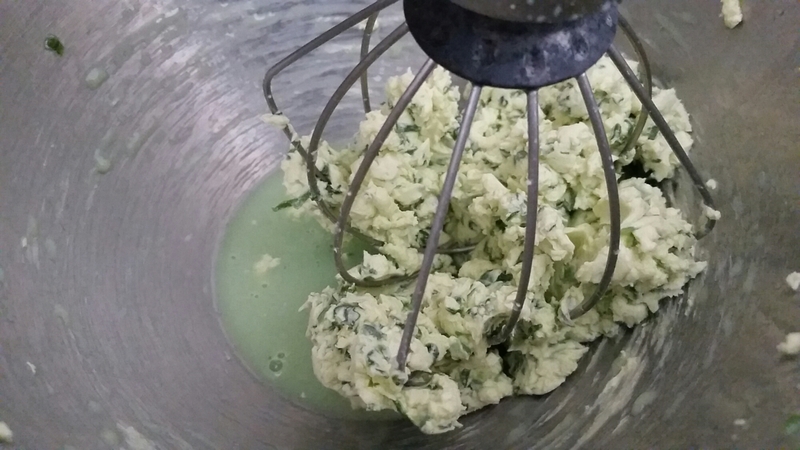 You’ll end up with a delicious ball of green flecked garlic butter. 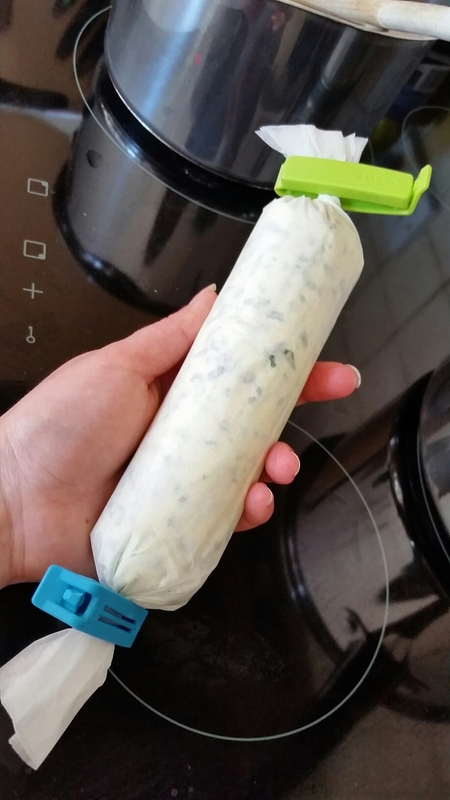 You can use it as it is, or you can put it on some greaseproof paper, roll it out into a sausage shape for easy slicing, and pop into the freezer for as and when you need it. 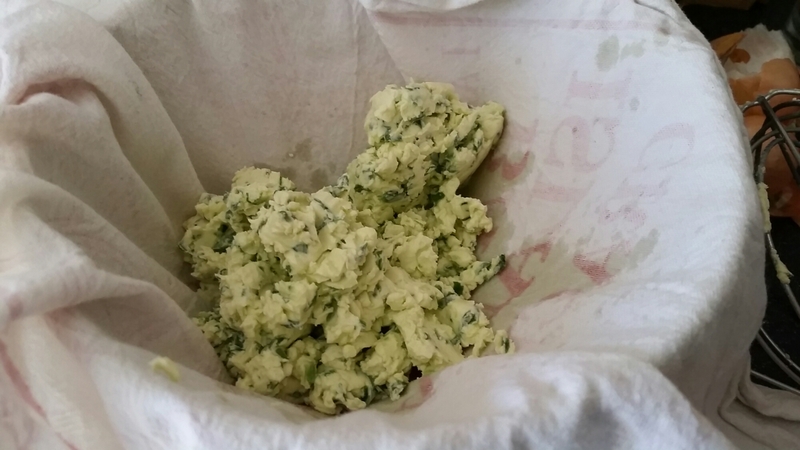 It’s delicious on potatoes, for frying mushrooms, on bruschetta and kneaded into bread dough good rich, tasty garlic bread. The list is endless. Enjoy!